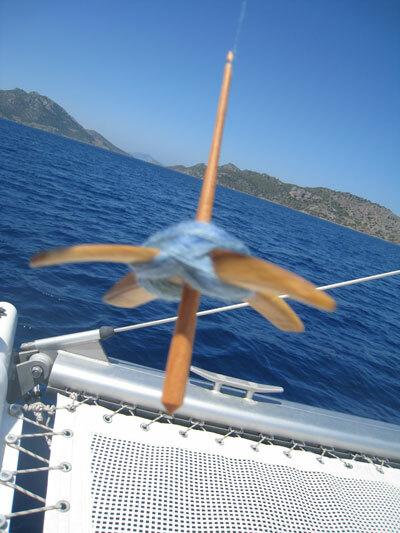 Spinning some merino/bamboo fiber in the Aegean color way with my Aegean Turkish Spindle while sailing in the Aegean Sea. I’ll get a replacement shaft. In the meantime, I’ll need to find another spindle to play with for the duration of the tour.